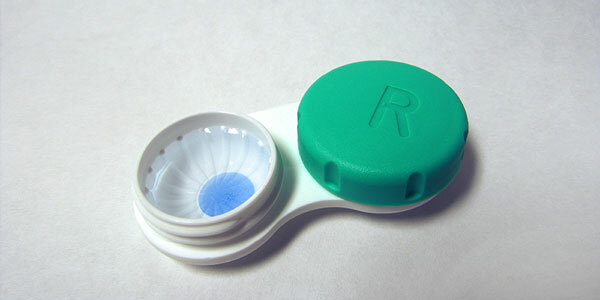 Contacts and LASIK go together like oil and water. That's even true at a consultation. But there's a good reason for that. LASIK takes eyes that do a bad job of focusing and makes them do a good job of focusing. It is able to do that because it can reshape the natural lens on the front of the eye called the cornea. What's interesting about the cornea (honestly, what's not interesting about the cornea?!) is that it has a thin layer of skin called epithelium that is constantly being replaced and remodeled. Contacts warp that layer of epithelium. It is the microscopic equivalent of taking your thumb and pressing it into modeling clay. When we take the pictures and measurements of the cornea that will tell the laser how to reshape the cornea so that it will focus light correctly, we want it to be based on the cornea's natural shape. If the treatment with laser is decided based on the shape of a warped cornea: (1) it won't be accurate, and (2) it probably won't be a candidate for laser in the first place. Many times, I'll think, "The 3D images of this cornea make it look just crazy"* and then 72 hours after contact lenses have been taken out, it will look perfect. That's why contacts bugger up LASIK evaluations. *Every now and then, I guess it would be good to clarify that there is more science to some of this than the descriptions I give. In this case, "crazy" would mean irregular, non-orthogonal astigmatism or an inferior to superior difference in curvature of greater than 1.8 when measuring 1.5 mm above and below the corneal vertex.